Free shipping applies within the lower 48 US states. Shipping to Hawaii, Alaska, or outside of the US will have additional shipping charges applied. Designed for professionals and serious do-it-yourselfers, the versatile Garage Mate is ideal for the home, shop or job site. Delivering maximum air, the Garage Mate can power impact guns, ratchets, grinders, drills, nailers, paint sprayers, sanders and more. 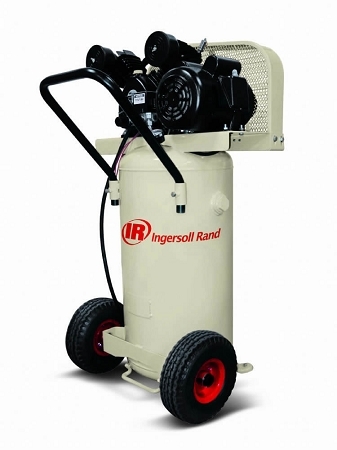 The Garage Mate features a cast-iron, oil-lubricated pump for solid, reliable performance. Belt-driven for quiet operation (75-80dBA), all models are equipped with a pressure switch, pressure gauge, regulator, safety valve, manual drain and six-foot power cord. Applies within the lower 48 US states. Shipping to Hawaii, Alaska, or outside of the US will have additional shipping charges applied.